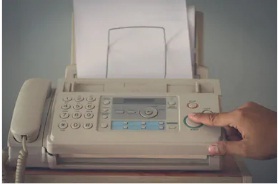 Fax machines scan paper images and transfers them through modem to another machine. When a document is fed into the device, it passes over a ray of light detectors that produces electrical signals of varying voltages, based on the picture quality on the paper. The signal is then transferred to other fax machine to be accepted. The image is then printed accordingly. Here are some common fax machine problems and their solutions. Before rushing to a fax machine repair service in your Vancouver locality try examining these issues. Fax machine is an important device for home and office. It is not uncommon to face issues with your fax machines from time to time that could be a sign of concern. However, it is not necessary that you have to rush to a professional every time an issue arises. In most of the cases, the problem could be quite simple and could be easily solved by checking the cord, lamp, toner or cleaning the interior. The problems could be promptly solved. This could be due to some issues with your modem or telephone line. The connection between these two may be disconnected. In this case try connecting another standard phone line into your fax machine and listen for a dial tone. If it is not working, contact your telephone service provider and ask for the problem to be diagnosed and solved. You should also make sure that the electrical cord that is connecting your fax machine to the power supply is properly plugged in or not. If not then plug it in properly. In this case, check if the exposure lamp is ok or not. Fax machine uses light source to convert an image to an electrical signal. If the lamp is damaged or burned out, the device will only be able to receive signals but not send them. Spilled toner or accumulation of dirt and debris inside the front panel might cause such issue. To prevent such issue, always clean the spills thoroughly after refilling the cartridges, every time. You should use clean and non-abrasive clothes to wipe away all the dirt and debris from the inner panel of your fax machine. These kits can be purchased from your local stationery stores. The kits usually come with glass and mirror cleaners, lubricants, protective gloves, cloths and compressed air. All these helps clear away the toner and dust particles effectively, leaving you with a clean and tidy, long-lasting and efficient machine. 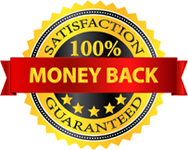 You will not have to worry about fax machine repair in your Vancouver locality any more.